WHERE DO I GO FOR FACIAL? I got questions about this a lot. Frankly speaking I don’t like facial that involves acne or blackhead extraction. It hurts. The only thing that I love about facial is simply the massage. Don’t we all? But then again, we all need facial. At least, once a month to clear out those clogged pores because a simple exfoliation with scrub at home just won’t do if you have problematic skin like me. Please don’t try to pinch that thing out of your skin, because it’ll cause pores trauma (yes, pores can have traumas) and make them look larger than life. 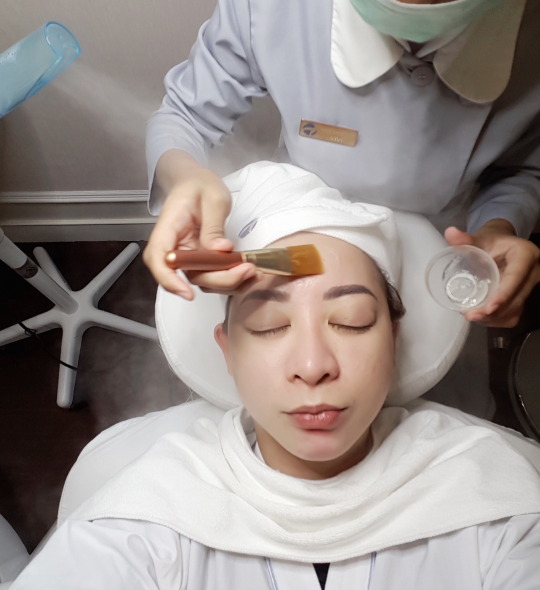 I trust JAKARTA AESTHETIC CLINIC to do my facial. They called it “COMEDONES PEELING” (peeling komedo in my languange-bahasa). The clinic itself doesn’t look like an ordinary clinic, I always feel like going to a spa when I entered their door. 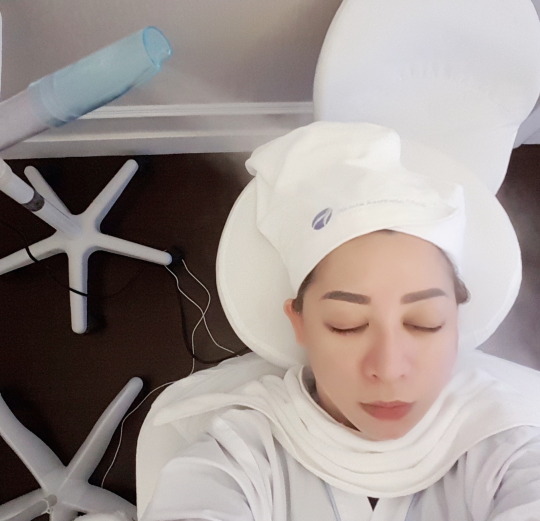 Private rooms with spa music and very modern and comfortable chair, this skin clinic belongs to dr. Olivia Ong, dipl. AAAM, an aesthetician and Anti-Aging Specialist. 1. Cleansing to remove makeup, dirt and oil with cleansing milk and facial foam. 2. Peeling will be applied on clean skin. It’s a very straight forward procedure, using a clear peeling gel (which is exclusively available in this clinic). This peeling gel will absorb into the skin to soften any clogged pores in about 3 minutes with hot steam on, therefore it’ll be easier for the beautician to extract the comedones later. 3. 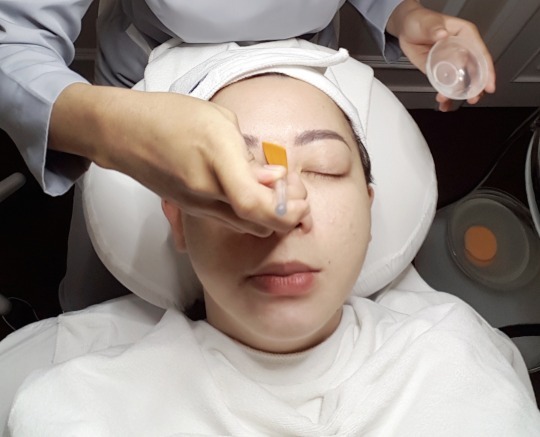 Extraction process is less painful than the other facials I’ve tried elsewhere. 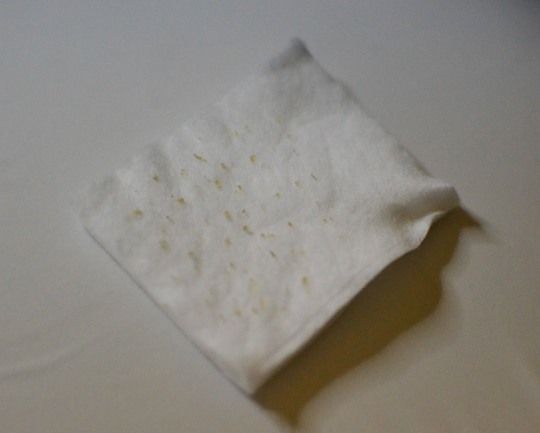 That’s because of the peeling which already soften the comedones and during the extraction, hot steam will always on. Warning: explicit image of my comedones. LOL. 4. Mask time. Using a clear gel mask with a cold steam. Don’t worry, it’s not as cold as you imagine..just like a cool breeze which I believe will tone down the redness after extraction process. Mask will not be hardened after 10 minutes recommended time with cold steam always on. The whole process only took about 30 minutes. Very simple yet effective facial. Here’s the complete address and phone number to call for further information about JAKARTA AESTHETIC CLINIC. 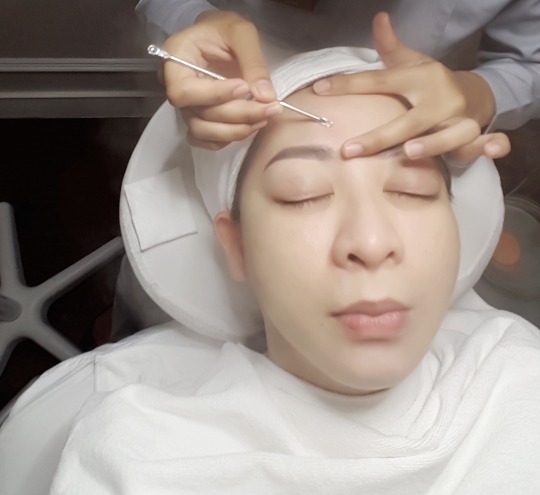 PHOTOS: SHINTA ROSVITA (yes, I did a selfie during this peeling facial LOL).